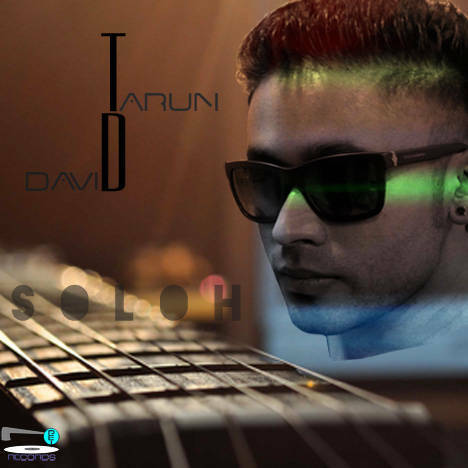 SOLOH | TARUN DAVID | OK Listen! It all began with the strike of a single note on a keyboard when I was a child, and today, the amalgamation of every single note across multiple instruments has resulted in the birth of an album. The word "SOLOH", in this case, represents the act of achieving 'by oneself' but in harmony with each distinct facet that makes up an individual. it highlights the background story and journey to bringing this album to life; I started out and successfully finished each second across this project with the ideology and practice of acquiring MORE with LESS. Each track comprises the key element of vocal harmony which fades in and out of song structures across an array of genres. "Here I come" embodies the act of announcing to the world that 'one has officially arrived'. It stands for the grit and determination that each one of us carries across any industry. Its your time to shine!
" Bhangra Therapy" is a celebration of LIFE as we know it, the track showcases a blend of three key elements; Pure Bhangra beats from the land of Punjab, Western vocals(with harmony) and Motivational/optimistic lyrics. In unison, these traits help in advocating the fact that one needs TO LIVE and not merely EXIST..hence REJOICE! "Don't Look Back" carries an edgy rock persona mixed with a hint of subtlety. The song narrates a scenario wherein the act of reassurance, display of understanding acquired from events in the past and an appeal for trust, hold utmost importance in aim of moving ahead through time. "Her Eyes", as the title suggests, focuses in on a woman's most emotive quality...the EYES. The track sheds light upon the strong and surreal act of non-verbal communication through eye contact that we as humans interact with all the time. The lyrics and overall Motown tone of the track is aimed at projecting the peace and tranquility that one experiences during this magical moment. "When I see you", a reggae track by genre, boasts of the instantaneous connection established at the first glance of a woman in a crowded scene, resulting in tunnel vision, hence leaving just two souls to interact amidst an aura of pure ease and bliss! "Can't let you go" is a tribute to the genre of Rock n Roll music. The track describes the uneasiness that one experiences when your Heart finds itself split into two, leaving oneself at a crossroad where letting go may appear to be the right way, but the fear of losing a part of your soul drives oneself in pursuit of the other.
" I know" is an acoustic blend of melodies that are sourced from the harmonious notes that emanate from the valleys and forests of hill-stations. The track paints a picture of a scenario wherein one is forced to question one's soul mate in view of the wedding vow 'in sickness and in health'. It stands as a plea to help bring about a sense of reassurance in view of the days to follow but also strongly projects the individual strength and self realization that one carries, irrespective of the worst case scenario of being left alone. "Lightness of Light" is an easy listening dub-step track that gives new meaning to the acronym LOL. It caters to the diminishing stability of our precious planet,the human race and the quality of Life that we live. The song showcases an interaction that urges the other to place trust in the power above and step forward to bring about a change, hence leaving room for the power of Light to lighten the burden of remorse and suffering. "I feel Alive", a dance/lounge track, aims at expressing the glee felt at the moment one rids oneself of the practice of hoarding a bag of negative thoughts and emotions and opting to LET GO and LIVE FREE! As my favorite language to speak is MUSIC, the ever growing desire to connect with people from all walks of life continues to drive me onward, hence enabling oneself to create musical pages that can be read by everyone. This is just the beginning, as the musical miles that lie ahead promise to reach out and deliver to YOU, a series of musical adventures! 10 Songs-Multiple Genres-a musical diary for not just ONE but ALL! With the aim of delivering music that carries influences from the entire spectrum of MUSIC, the album boasts of vocal harmonies in unison with a range of themes, expressions and emotions!